I’ve been breaking in my kitchen by making some of the few things I have ingredients for. The other day when a friend was staying with me, I desperately wanted to bake, and what resulted was snickerdoodles. 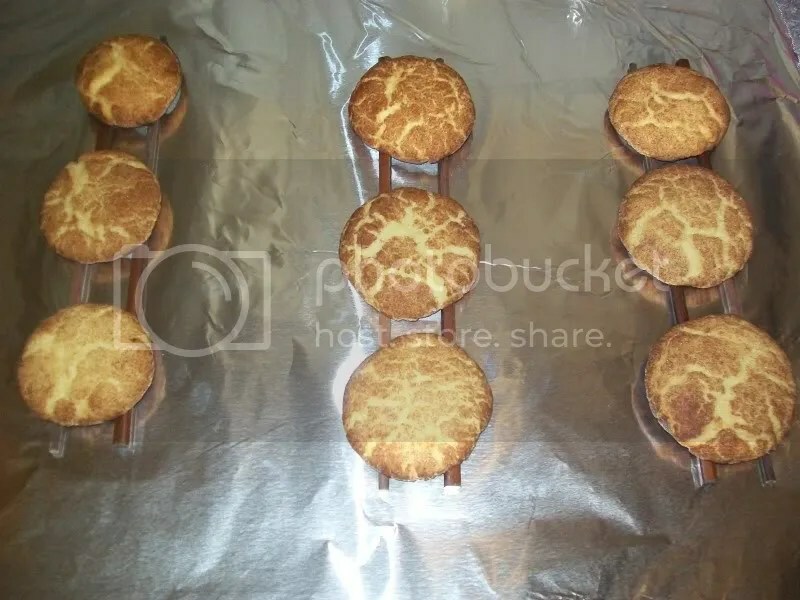 Unfortunately, I remembered that my wonderful cooling rack was 250 miles away, which meant I had to find a different way to cool my cookies so that the bottoms would not either overcook by being put directly on foil after they were out of the oven or become soggy because of condensation due to a hot cookie being put on a cool surface. What resulted was something that I can only describe as being epic, ingenious, and hilarious. Because my friend happens to enjoy an Asian lifestyle and thus has many such accouterments for her own kitchen, we employed none other than chopsticks to cool my cookies, and they worked wonderfully.